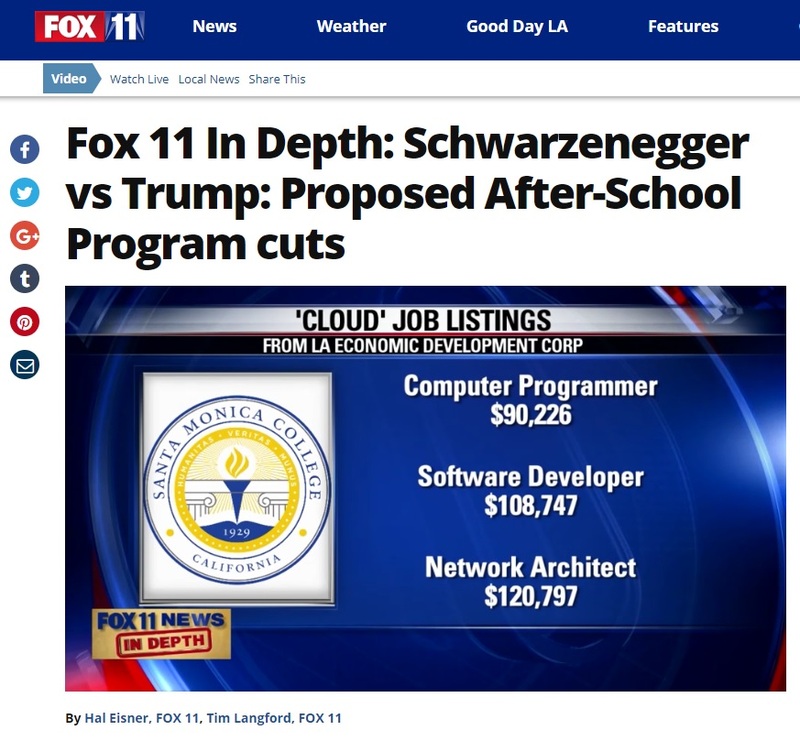 Several local community college students were interviewed about the new cloud computing certificate that has been co-created by the LA-Area community colleges and Amazon Web Services (AWS), as the KTTV-11 In Depth show explored the career paths and salaries in information technology. 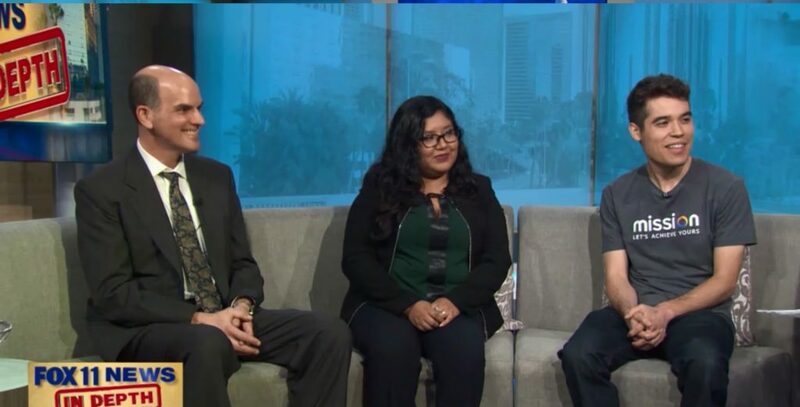 The newly created program, started at Santa Monica College (SMC), and rolling out at all 19 of the LA-Area community colleges, is the latest example of industry-education alignment that is helping businesses find talent, students find well-paying career opportunities, and colleges perform at a higher level in terms of providing skills to students that businesses value. Watch the discussion on the video segment below, which begins at the 19:00 mark. LAEDC is pleased to be a partner in this program, through our work in Center for a Competitive Workforce. Learn more about the cloud computing certificate program at this link. The related podcast is also available HERE and the cloud computing discussion begins at the 10:40 mark. To discuss workforce program development and industry-education alignment, please contact Jessica Ku Kim, LAEDC’s Workforce Development Director at [email protected]. Can the new Opportunity Zone Tax Credit support needed development?